It is interesting that as the world economy falls into growing recession and apprehension, the rich are getting richer and splashing their money on the most expensive toys in town. The signs of the rich getting richer were revealed in the release of the luxury car sales figures from two of the world’s most expensive car brands, Rolls Royce and Bentley. Rolls Royce just announced last week that it recorded the highest sales last year in its 107 years of making cars for the super-rich. The company sold 3,538 cars in 2011, 31% higher the number of cars it sold in 2010. The growth rate was although slightly lower that a growth rate of 150% recorded in 2010. The Rolls Royce model driving its sales is the Ghost model, according to the company, which cost a pocket bursting £165,000 or N44.6 million. The more expensive Phantom model will set your pocket back by £235,000 or N63.45 million. The company’s chief operating officer is quoted by the BBC as saying that 2011 had been an "outstanding year". The BMW group which now owns the Rolls Royce brand also announced that it has recorded increased sales of its BMW Mini and Rolls-Royce marques which are cars at the expensive end of the scale. However, it was not just Rolls Royce that was having a good time with the super –rich. Its rival ultra-luxury car maker and competitor Bentley also had a good time in 2011. The company also announced that it sold 7,003 cars in 2011, 37 per cent higher than its car sales in 2010. The average Bentley car is priced at £133,000 or N35.91 million. The company’s flagship brand is the Bentley Mulssane which is priced at £226,000 or N61 million. The rich dishing out the mind burgling amounts to buy Bentleys and Rolls Royce are mainly from the US and China, the world’s biggest economy and the world’s fastest growing economy. The figures show that the US was Bentley's biggest market in 2011 with 2,021 cars sold, an increase of 32% while China ranked second with sales hitting 1,839 twice the company’s sales in China in 2010 and surpassing the previous year's record before the end of July. 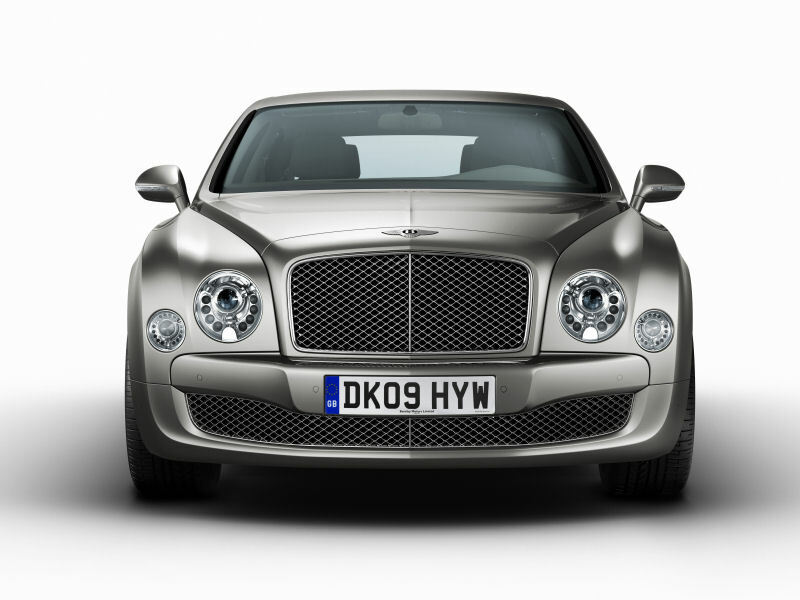 Bentley however says its car sales are still below the 2007 levels, when it sold 10,000 cars. This was also the year when the financial market reached its peak before it crashed. Mercedes-Benz, another car in the luxury car segment also announced increased sales in 2011. Mercedes-Benz says it sold a total of 1,260,912 cars in 2011 up 8% on 2010 sales. The company says it hit new sales record in China, Russia and India, all emerging economies witnessing high pace economic growth. The company notes that the demand for its large SUV models broke sales records in each of the 12 months of last year. The increasing sales in luxury cars are coming despite the fact the world economy is in a bad patch. There are forecasts of economy recession in Europe this year, unemployment is rising on a daily basis with a country like Spain said to losing about a 1000 jobs a day and the unemployed touching a high of five million. In the UK, youth unemployment is at its highest ever with most young men now going about without jobs or prospects of jobs. The US economy outlook is still largely bearish though unemployment figures have been falling in the last few weeks while China is expected to grow at its lowest in 2012 in the last ten years of high pace growth. Bud despite this gloomy outlook, the Society of Automotive Analysts (SAA) based in New York is very optimistic about the luxury car market. Their forecast is that the luxury car market will be the fastest growing car segment in the US in 2012. Several reasons have been advanced for why the rich get richer in a recession. One is that the rich have information advantage over the poor. In a period of market downturn, the rich are most likely to be able to protect them themselves faster than the poor because they have access to superior information and the network and expert advice to move their capital and wealth into save heavens. Also when there is a market upturn, or the economy starts picking after a recession, the rich also get the information earlier than the poor. Besides having access to superior information, the rich also are able to take advantage of it faster since they have easier access to capital or money than the poor. The poor may have the same information but no access to capital or money to take advantage of the information at their disposal. For example, a report prepared by Merrill Lynch, the investment bank in 2010 shows that the worlds rank of millionaires climbed 17% to 10 million in 2010 while their collective wealth jumped 19% to $39 trillion, almost recovering all their losses during the 2007/2008 financial market collapse. This shows that while the rich may have recovered a good portion of their wealth lost during the financial market collapse of 2007 and 2008, the middle class and poor who lost their jobs and wealth during the period are still struggling to recover. This is evidenced by the fact that foreclosures in places like America are still very high while employment in all developed economies is still yet to recover. But for the rich, the groove goes on after a temporary inconvenience to their wealth. A Rolls Royce in the garage and a Bentley in the drive way and a vacation in the Caribbean are all back on the cards. Now, how I wish I was writing this in the back of Bentley.